Learn to navigate the grocery store with ease and efficiency! 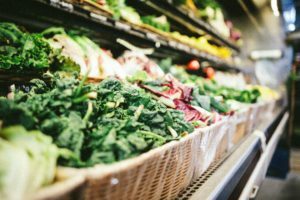 Ever get into the grocery store and look around thinking, “now what?” Or start browsing the aisles wondering, “is any of this even healthy?” If the thought of going grocery shopping each week sounds daunting, read this article! We understand that grocery stores feel overwhelming with too many options and a lack of knowing what to buy. This leads to annoyance (especially if you have a bunch of little ones in tow). However, smart grocery shopping sets us up for success! 131’s Top 10 Tips for Effective and Healthy Grocery Shopping! Make a shopping list. Pick out a few recipes or meals for the week and jot down ingredients that need to be purchased. Don’t forget to think about what snacks you want on hand too. It may sound like a basic tip, but we’ve all experienced the negative consequences of shopping without a list. It usually results in buying unnecessary foods and forgetting the ingredients in your recipes! Pick a theme. For budget purposes, it makes sense to pick a few recipes for the week that contain crossover ingredients. For example, if a Greek recipe, a Mexican dish, and a Vietnamese meal are all being cooked that week, they each require their own respective spices and essential ingredients. That gets pricey and leads to food waste when only small amounts of each ingredient get used. Use the bulk bin section. If available, browse the bulk bin section for specialty or pricier items. You’d be surprised to see the array of foods you can find in the bulk bins: nuts, seeds, dried fruits, alternative flours (almond, chickpea, etc. ), grains, beans, even protein powders! This is especially helpful when buying an ingredient you may only need a few tablespoons or 1/4 cup of. It saves money to buy the amount needed instead of splurging on the full-size bag that expires before you use it again. Fill up on produce. The old saying “shop the perimeter of the grocery store,” still rings true. By filling your shopping cart with fruits and vegetables first, you’re ensuring healthy options for the week. They also serve as a visual reminder as you browse through the “packaged food sections” of the store that you have #healthgoals – and you’re stickin’ to ‘em! If the food budget doesn’t allow for all organic, use the yearly Environmental Working Group’s Dirty Dozen and Clean Fifteen list to help prioritize the produce. Buy the big bag. Big families need warehouse clubs (i.e. Costco, Sam’s Club, etc.) to buy certain items in bulk. Most of these stores now have organic, grass-fed, and sustainably raised options for animal proteins. Buying wild-caught salmon, organic pasture-raised eggs, grass-fed beef (and more) in bulk is worth it! These cost-effective and individual portions make for hassle-free meal prep. Weigh out time versus cost. Decide how much time you have available to dedicate to the kitchen. If you know time’s limited to prep and cook meals, consider spending a little extra money on items that make your life easier during busy weekdays. For example, buying pre-riced cauliflower costs more than a head of cauliflower, but if it makes life easier and the budget allows for it, do it! Other ideas include: purchasing pre-chopped vegetables, pre-washed salad greens, pre-cut fruit, and already riced or noodled vegetables. Browse the freezer aisle. The freezer aisle of most stores carry great food options like frozen fruit and vegetables, and pre-cooked grains. Keep well stocked for quick meals, side dishes, or to throw into a smoothie. Steer clear of the products with added sauces or gravies which typically contain inflammatory ingredients or added sugars. Read nutrition labels. If you’re doing a big overhaul to your typical grocery list or are exploring food items you are not very familiar with – reading nutrition labels is so important! A quick browse through the ingredient list identifies additives and junky ingredients. Keep in mind that in the beginning, reading labels takes some time, but with practice, you’ll be reading labels and flying through the grocery store like a pro in no time! Consider online shopping. Let’s be real, sometimes carving out the time to even go grocery shopping seems impossible. 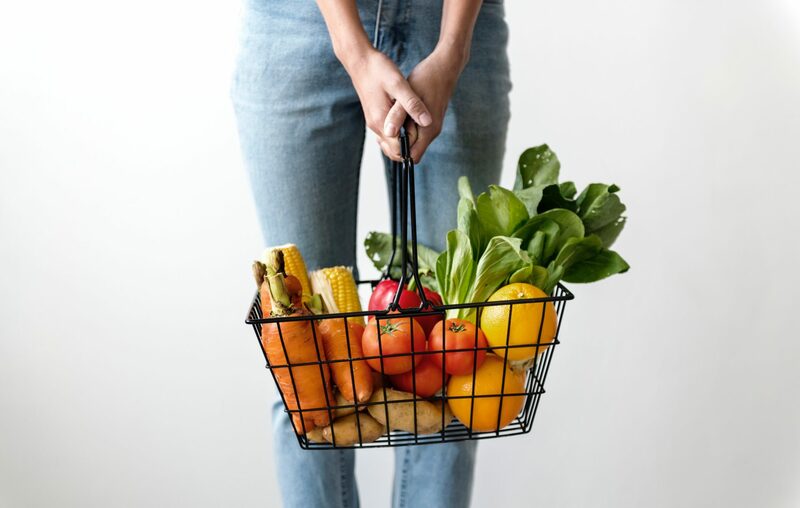 Instead of saying “forget it!” and relying on convenience food for the rest of the week, consider using an online supermarket or delivery service. Companies like Amazon or Thrive Market offer tons of healthy options that can be ordered straight from your phone or computer and delivered a few days later. If you’re looking for same-day delivery, Amazon also has that option, along with companies like InstaCart.